You can be among the many business owners who have built their fortunes on the recurring subscription model. In this episode, discover the advantages of a recurring subscription business. Find out how to get started and obtain the mindset you need in your quest for wealth. 01:40 – What’s in it for you? 04:28 – How will you package it? Look for a hungry crowd. [Click To Tweet]. Propose constant availability. [Click To Tweet]. Long term gain over instant reward [Click To Tweet]. James Schramko here, welcome back to SuperFastBusiness.com. Today’s podcast is on the topic of subscription business. In particular, I want to build on some of the previous episodes that I’ve done. But I had a great discussion recently with John Warrillow, where he shared subscription business tips from his “The Automatic Customer” book. I also did a post called “Why The Recurring Subscription Model Is The Secret To Wealth,” on how you can apply the recurring subscription model to your business. In the past, I’ve done interviews with Dane Maxwell, and I’ve also had an interview with Matt Paulson, about how to set up a recurring profitable paid newsletter subscription business. Today, we’re just going to have a short episode, and that’s really focused around getting started with a subscription business, because this is such an important topic. Many successful entrepreneurs can testify to the profitability of the recurring subscription business. If you need further encouragement to adapt the model, or you’re already interested, this podcast is for you. So first, a quick recap of the advantages of a subscription business. It’s easier. Forget the stress and strain of big product launches or constant hunting for new customers. Put your effort into nurturing the customers that you have, and improving your products and services. Like an orchard or a vineyard, you’re just refining and improving and getting the process down, and it continually bears fruit. It gives you constant income. With a good, reliable customer base, you can sleep well at night, no wondering what next month will bring and how to weather through the next expenses round. OK, you don’t have to go looking for that feed and worry about starving. It’s predictable. With steady income, you can plan for the long term, knowing what resources you can count on, and when expansion is in order. If your business buys supplies, you can get better deals and set higher profit margins. In my case, I’m supplying services on recurring subscription, which means that I can hire a labor force and not worry that I’ll have to let people go the next month. And it’s also applicable to most industries, even ones you wouldn’t have thought so. From SEO, through to florist services, there’s hardly a business where the subscription model can’t be adapted. So, how to do it? Start with a good product. People will stay for a good product. They’ll happily pay over and over for it, and with good product you’ll automatically get referrals. If you want examples of this, think about the products that you always subscribe to, probably things like hosting, email systems, perhaps your telephone subscription, your internet provider. These are things that you need, and you have a product that’s quite good. Otherwise, you’d switch to a different provider. That has to be good to keep customers. So if you have a bad product, or a one-time product, you probably have the wrong product. So do some product development. As part of the next step, you’ll want to look for a hungry crowd. As Gary Halbert once said, if you could only have one thing, it would be a starving crowd. Find out what people continually need. It could be something YOU need. And that’s actually where I started promoting most of the affiliate products that I promoted that were recurring subscriptions, with things that I used. I used to promote Aweber email list because I used it. I now promote Ontraport, because I use it, and it makes sense to build your business around things that people actually need on a continuing basis. And look for things that deliver on what other solutions lack. Just as in marketing, you need a point of differentiation, because that point of differentiation can actually also be a pain of disconnect if someone were to stop having it. Put thought and effort into packaging things in a recurring method. I mean, even credit card companies do this with their annual subscription so that you could have a card with a special color. If you want a black Centurion Amex card, you’re going to pay thousands per year just so you can retain that status. The differentiation of having higher points earnings and concierge available for you 24/7 or being able to slide through at airports a little faster or wait in a special lounge – these things are very, very important status symbols for the people that have them, and they will continue to pay that recurring fee. When you’re packaging things into your recurring method, for a service business, a common strategy is to bundle services that people use on an ongoing basis. Have a look at what people buy on an ongoing basis and see if you can put that into a package where you just keep delivering. A simple example might be a photocopier machine company who sells a maintenance package where they just send someone out every 3 months to go and fix up the machine and keep it tuned. And they could put that on a subscription. Now if it’s copywriting or website pages or print material, propose an arrangement where you’ll be always available to the customer at a recurring price. You might also view this as a retainer package. We used to hire an industrial relations advocate on retainer. That meant that our company, the Mercedes-Benz dealership I used to work at, we used to pay an industrial relations advocate a recurring fee just to be available in case we needed him. Sometimes we needed him a lot, sometimes a little, but it worked out to be more efficient for him, and more efficient for us to have him on a retainer rather than just to pay extremely expensive fees sometimes and then nothing at other times. It gave us stability and predictable costs. Communicate value to your customer. This is really the most important step on retention. This is how you keep people. It could be newsletters, it could be training, it could be a gift. A good one for most service businesses is a progress report, showing the situation of your customer before and then after or during your service, and showing them how much better off they are. If you can create some kind of reporting system or dashboard or support desk where you can update customers on their progress, they’re going to see value. Meet or exceed expectations. Undersell your product so that your customer will always be satisfied or impressed with what you actually deliver, rather than doing what most people do is oversell their product and then underdeliver, which creates disappointment. Nurture relationships. Treat your customers as though you’ll be dealing with them for the next 10 years, and who knows, they might just stick around that long! When you think about banks and telephone companies, quite often you’ll get this uneasy feeling that they’re looking after strangers better than they’re looking after their existing customers. It’s like you get a better deal with them if you were to leave them, and then come back to them. And that doesn’t make sense. So always look after your best customers first, and then roll out your offerings to the rest of the public. Let’s talk about the mindset for a minute of the subscription business, because it does require a shift. The first thing is, you need integrity. Integrity is slow to build in terms of market perception, and very fast to lose if you stuff up. So always deliver value. Offer usability options that suit customers as much as possible, and avoid pushing people, or cajoling or manipulating people into the wrong path, because they’re going to resent you for that. With the advent of content marketing and podcasts, it’s easy to build a long-term on-ramp for your products and services. You don’t need to make a sale today. There’s just too much focus around making a quick killing versus a slow and gentle approach that helps people see that your solution is the right solution for their problem. So use content marketing as a slow on-ramp. You probably won’t hear many marketers talk to you about the marathon approach of marketing. However I can tell you that it is like a big snowball. It just gets bigger and stronger and eventually people will gravitate towards the large mass that is your content marketing platform. Prepare to be in it for the long haul, is what I’m saying. It may take time for a person to become a customer, but you’ve got time, especially when you have a recurring rent roll coming in every single month. There’s no urgency, there’s no desperation. In fact, there’s no compromise. You don’t have to compromise your integrity or the marketing campaign to get a customer today, if you can have that customer next week and take your time about it. Because you’re still getting recurring income today in the meantime. With a strategic effort of content marketing, a recurring subscription product, and an ethical approach, you can be rewarded over the next year and the year after that and the year after that for the sale that you decide to forego in the next 5 minutes. Be sincerely helpful. People invest in themselves, so when it’s obvious that you’re acting in their best interest, they’ll be really appreciative and thankful and happy to make the investment in themselves via you. Hopefully this helps you get started. If you need a little more help, then I really encourage you to join my own subscription program, called SuperFastBusiness membership. For a low fee of $79 per month, or if you want to make a saving, buy the annual subscription, get inside there and let me help you build your recurring business. Even if you’re starting from scratch, or if you’ve got something up and running but it’s just not working the right way, I bet you I could help you out, and so could many of the other members who are doing this successfully. I’m James Schramko and if you’ve enjoyed this podcast, why don’t you share it with a friend, and perhaps leave a comment on iTunes? I’d really appreciate that. Leave a comment: What aspect of the recurring subscription model appeals most to you? 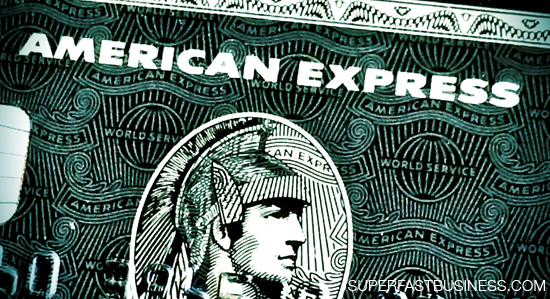 American Express is my all time favorite brand. They treat me so well I can’t even take advantage of all the benefits they give me. One of my favorites is that I have my account connected to Amazon so the points I earn on AMEX get me points to use on free Kindle books, mics and a bunch of other gear and products! I lost my wallet one time and I had to wait 3 or 4 days for all the replacement credit and debit cards to come in the mail – except my AMEX card. They overnighted it to me at no charge. Pretty sweet right? They have good points per $ spend and other nice benefits. It is shame many merchants charge a higher fee for it than Visa or Mastercard.